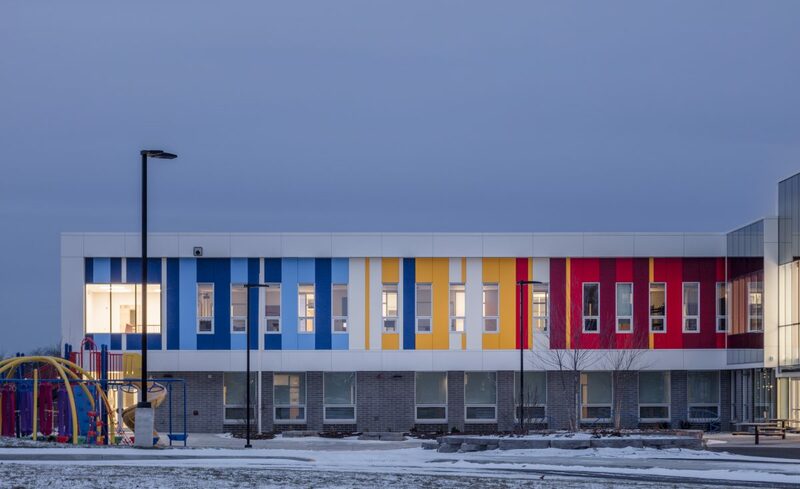 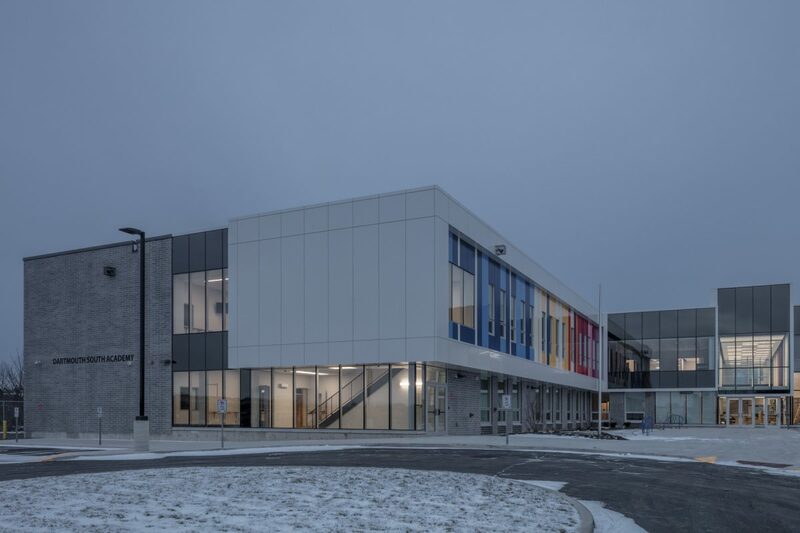 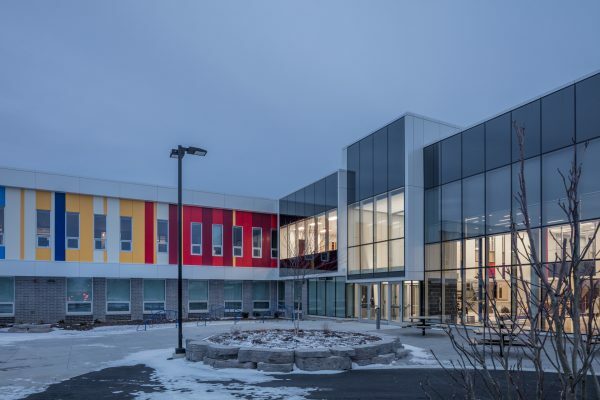 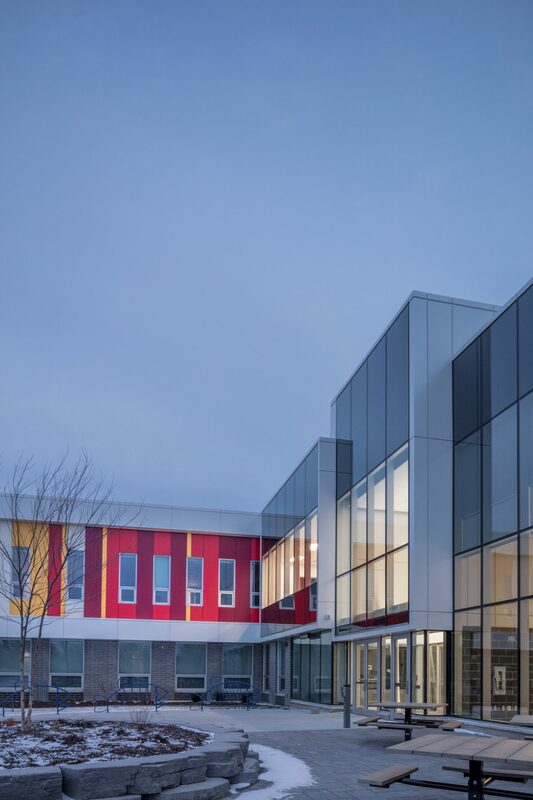 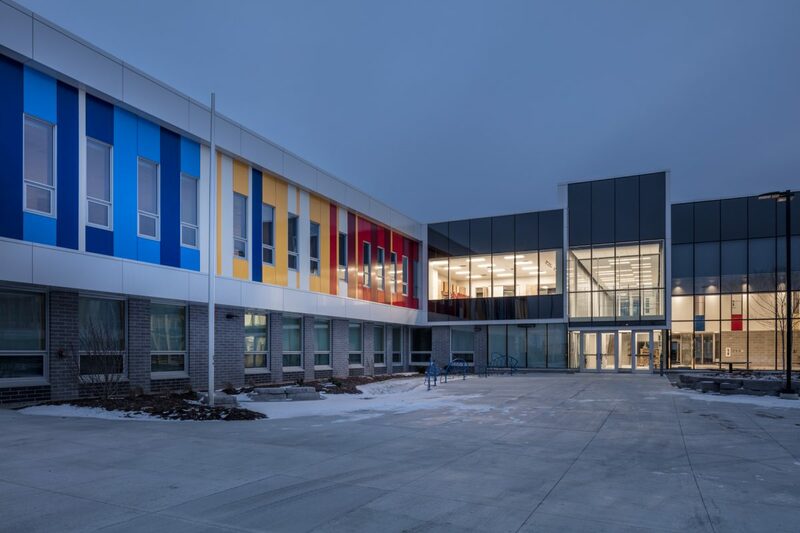 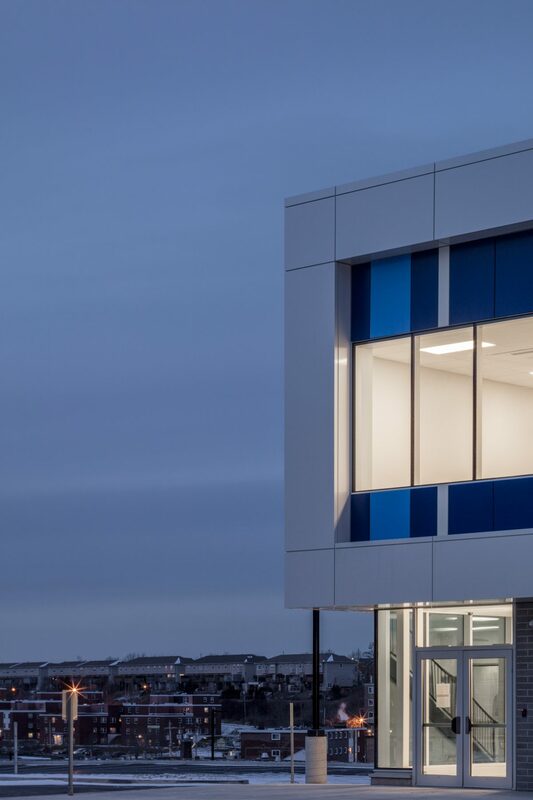 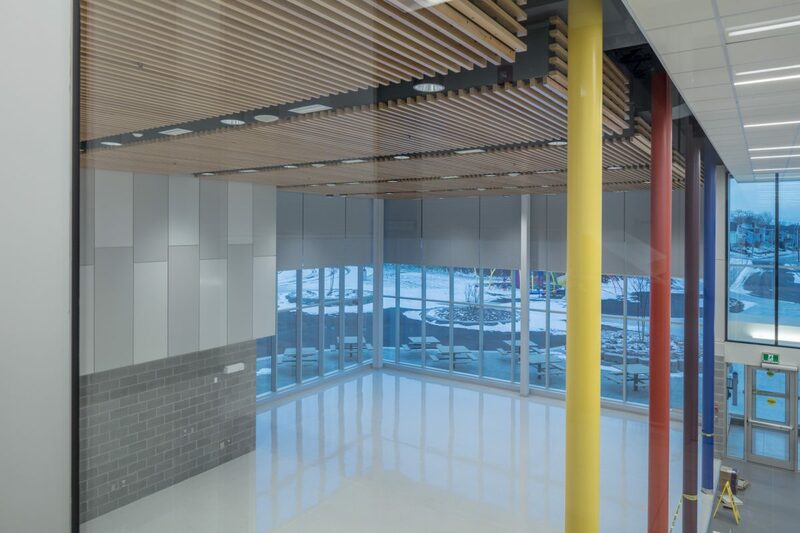 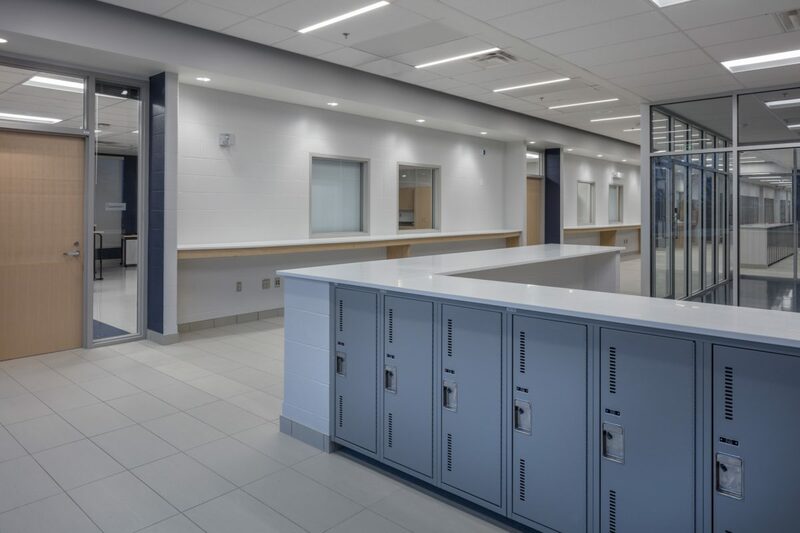 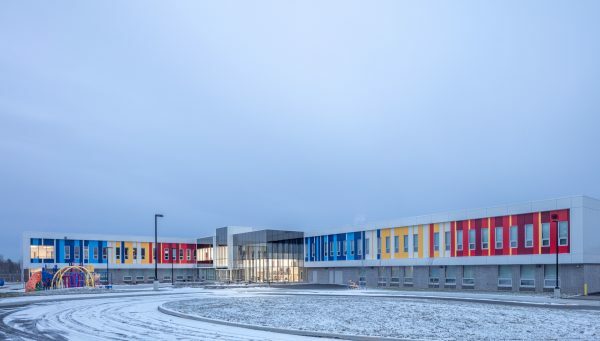 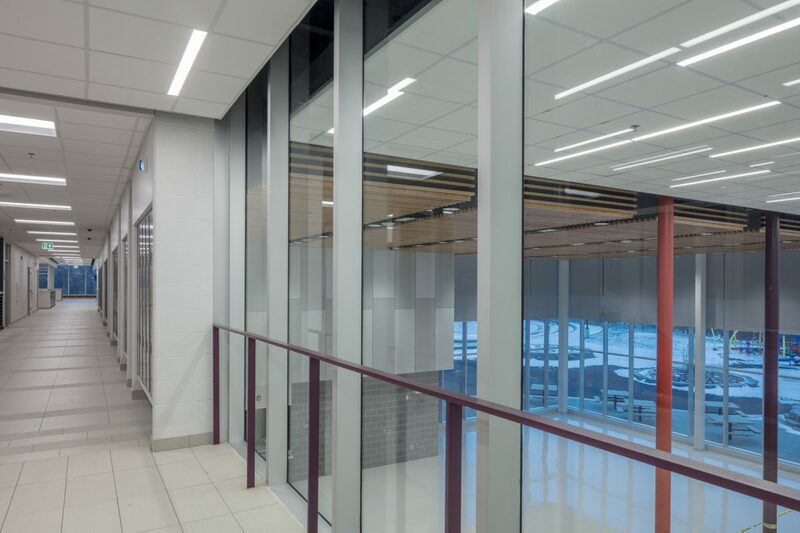 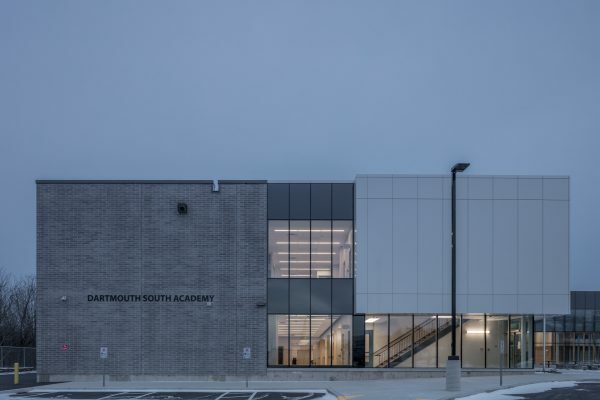 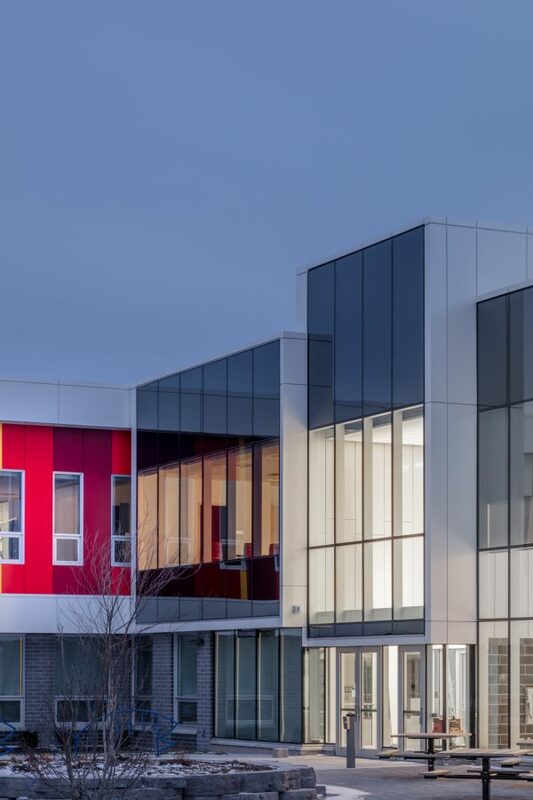 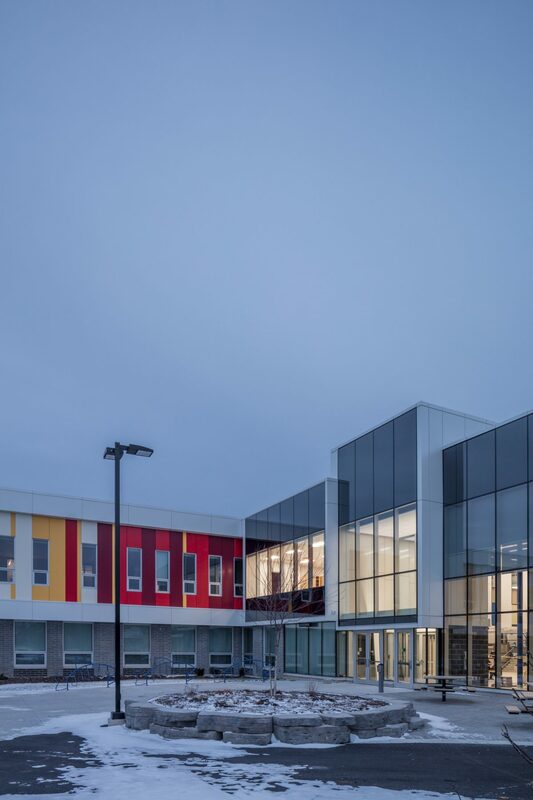 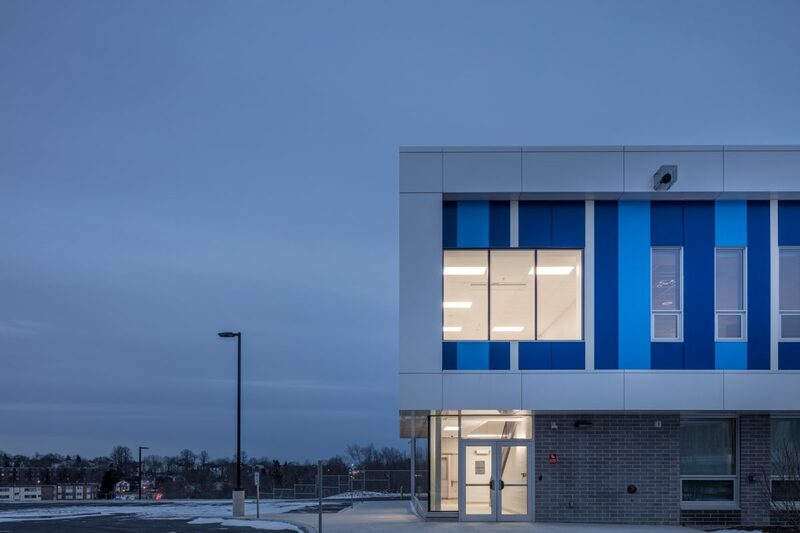 This two-storey P-9 school replaces Southdale-North Woodside Elementary and Prince Arthur Junior High school. 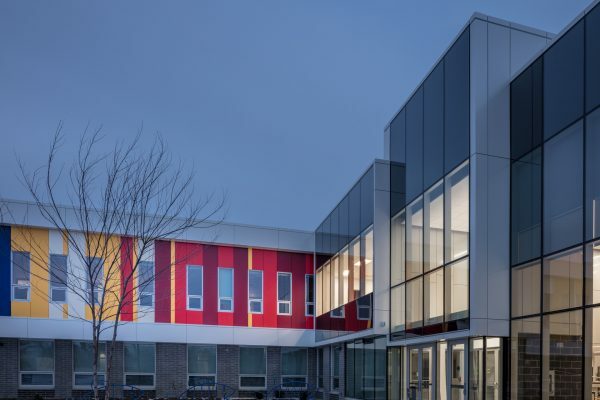 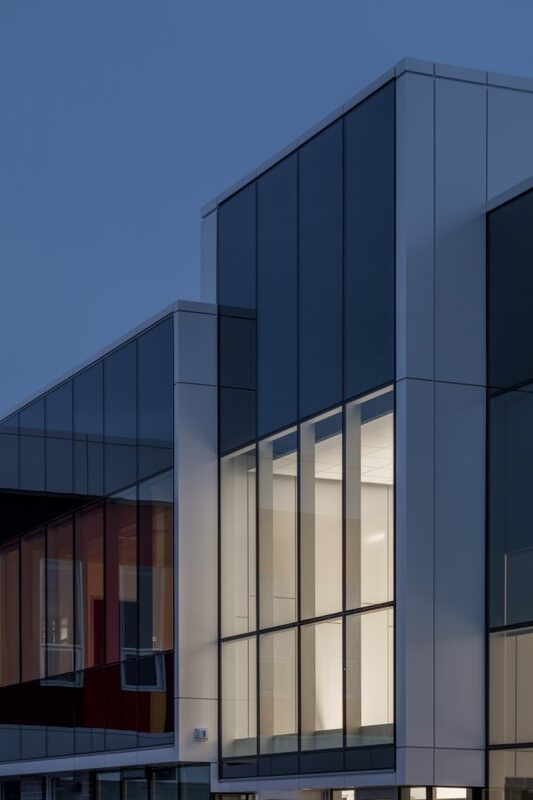 The building is sustainably designed and will seek LEED Silver certification. 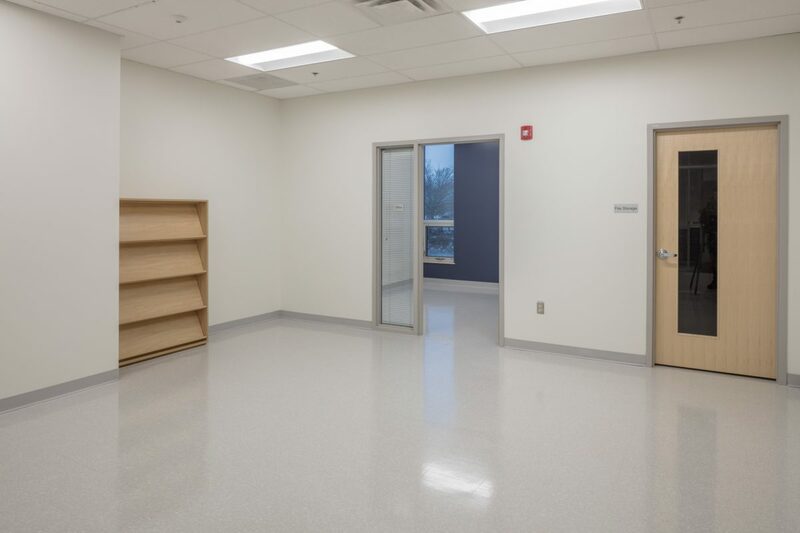 It contains approximately 25 classrooms.